Local football club to make sparks fly on the pitch! Come along to the best firework display in South Cumbria at Dalton United on Monday 5th November. Mike Blamire, Dalton United Club Chairman and award-winning firework display professional, said: “We are delighted to be hosting another fantastic bonfire and firework display on the actual day itself. I take great pride in making this the best display in the area and making sure local people get the chance to see a professional display worthy of this community. As a club, we love seeing lots of families from all over Furness and South Cumbria enjoying themselves and we look forward to seeing them all again this year”. 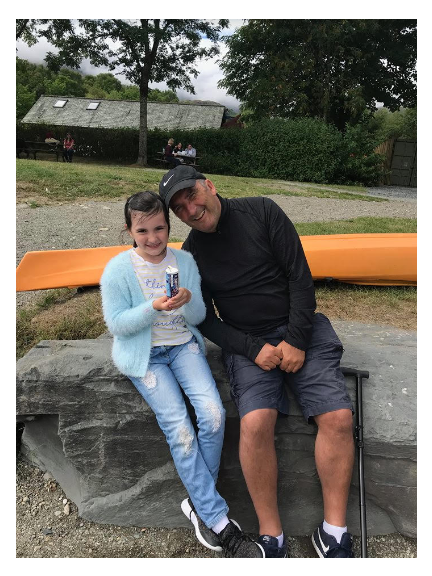 This year will be extra special for local residents Mia Craig (who turns 10 on Sunday 4th November) and her dad, Mark Craig. Former Dalton United Manager, Mark, was diagnosed with glioblastoma, a type of brain tumour, earlier this year. Mark has been undergoing intensive treatment with the support of his wife Sue, daughters Sophie, Kathyrn, Charlotte and Mia and his network of family and friends. The club has asked Mia, a pupil at Newton Primary School, and Mark to start the firework display and they are very excited to be doing so.